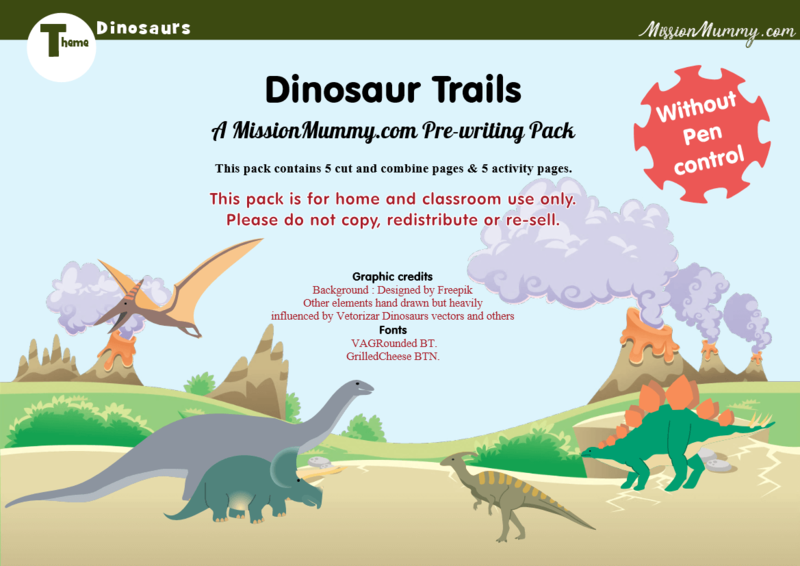 This pack looks at Dinosaurs and it’s the second of my pre-writing packs suitable for toddlers and preschoolers. 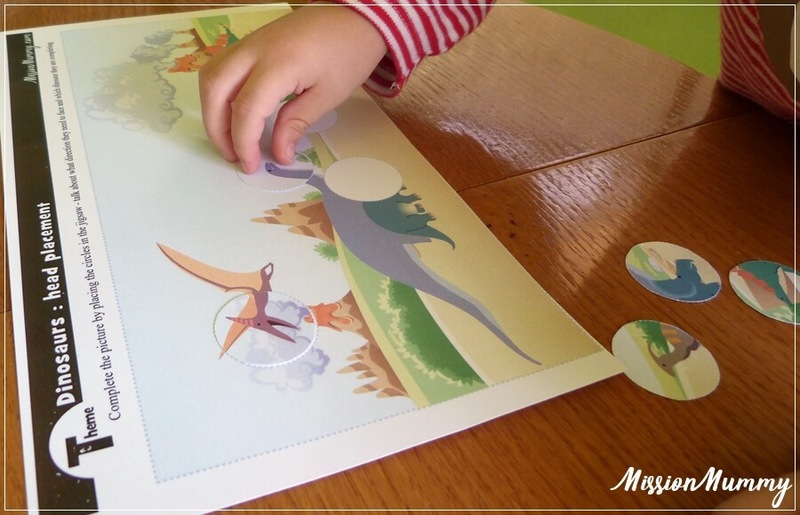 While this pack is building fine motor skills it’s diverse pages don’t include ‘pen control’ activities. 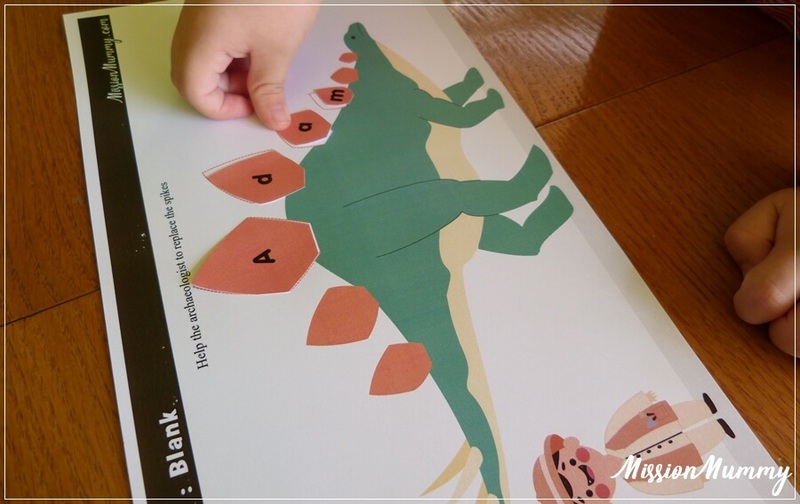 Adam was particularly thrilled to see mummy drawing dinosaurs and very eager to begin. Sadly he was ill at the beginning of the week so the momentum was lost but we very much enjoyed the activities once we got there. Once again our green door became covered in our theme. 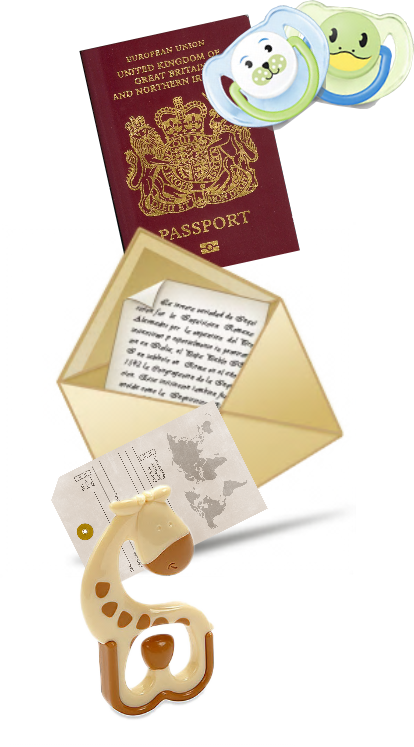 Each pages has brief instructions on and this pack includes a quick print guide too. I’m loving the quick print guide for when I need extra pages in a hurry. 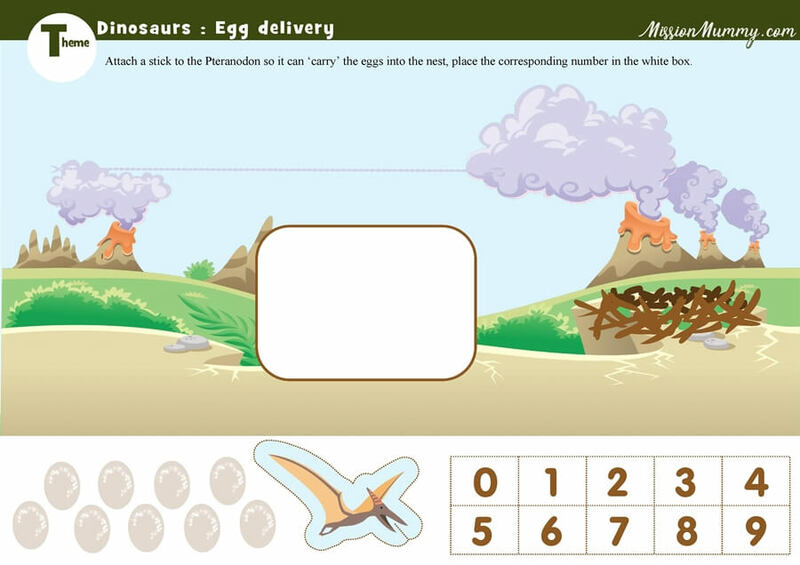 We began with our scene page, this one had the dinosaur’s heads and while locating which spot was easy, rotating the circle to match was a little more tricky. This page has the matching spikes with numbers to place. 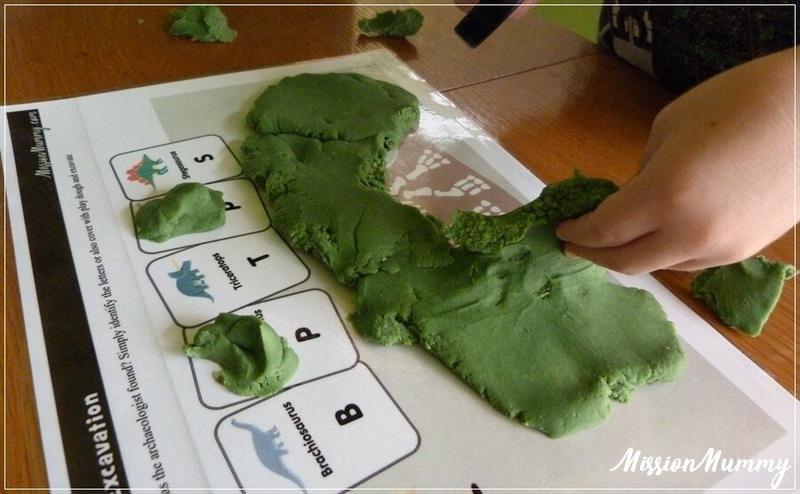 We had already done one matching spikes activity making his name so we used play dough to build our own spikes. 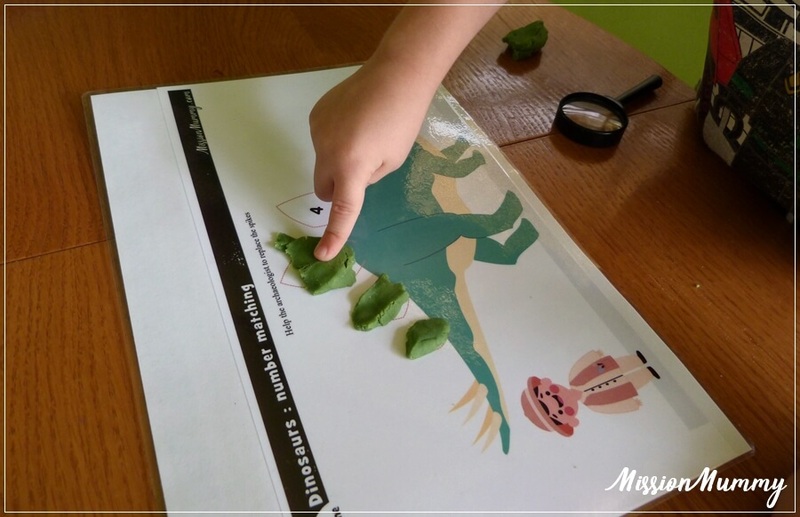 This was my favourite page, designed to work with play dough we needed to excavate the dinosaur bones to identify the species. 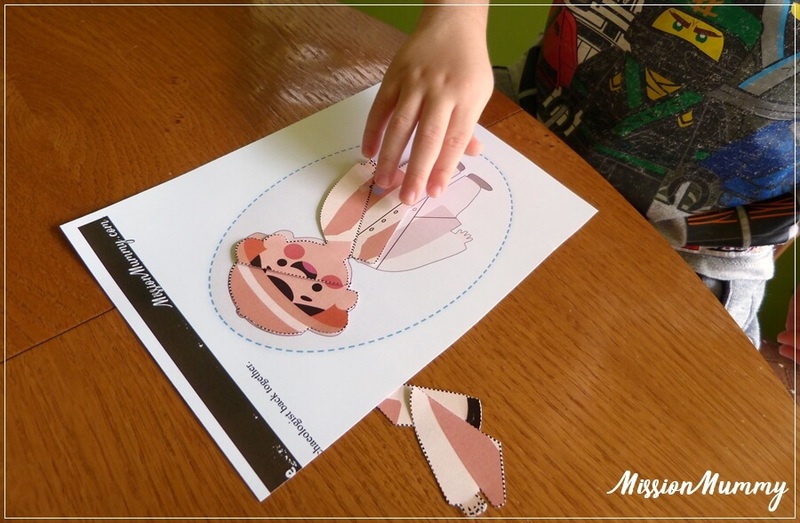 We started in the middle and then worked towards the tail and back to the head stopping to eliminate as we went. 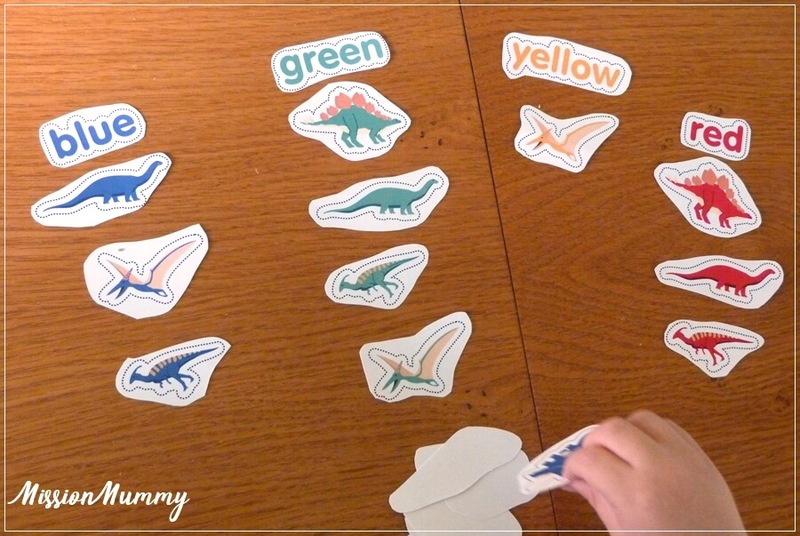 This is a very simple file folder game and the one that most caught Adam’s attention though he completed it very quickly. 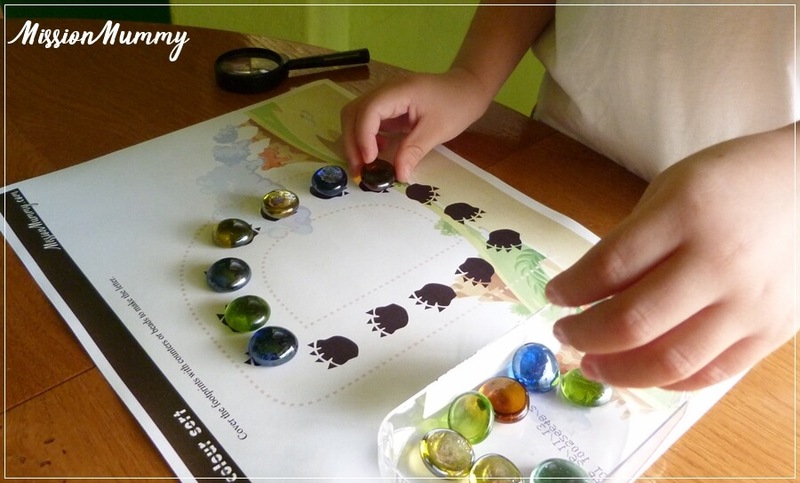 Using small glass stones really suited this letter formation activity and Adam took to them so much we ended up doing a lot of activities using them that day. 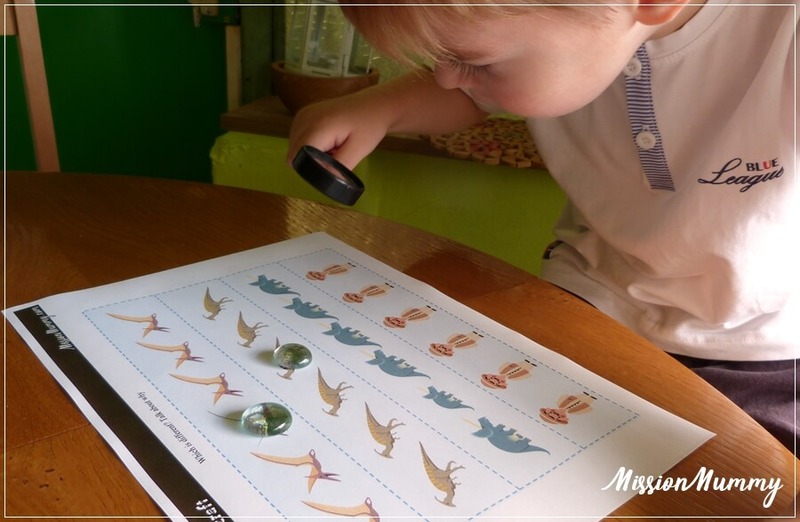 Our little archeologist loved his magnifying glass (Christmas cracker gift) as he hunted for the one picture that didn’t match. 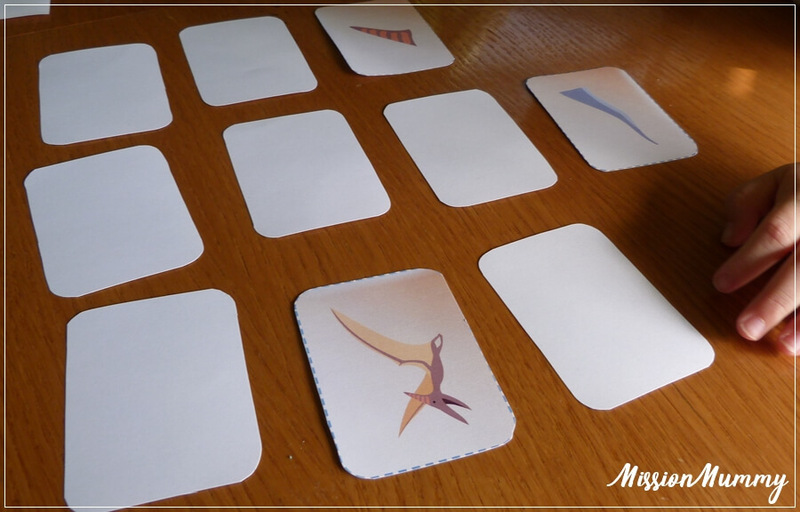 We are enjoying our shadow match puzzles, this one for the Archaeologist is a bit more tricky than some we’d done with it’s long thin shapes. 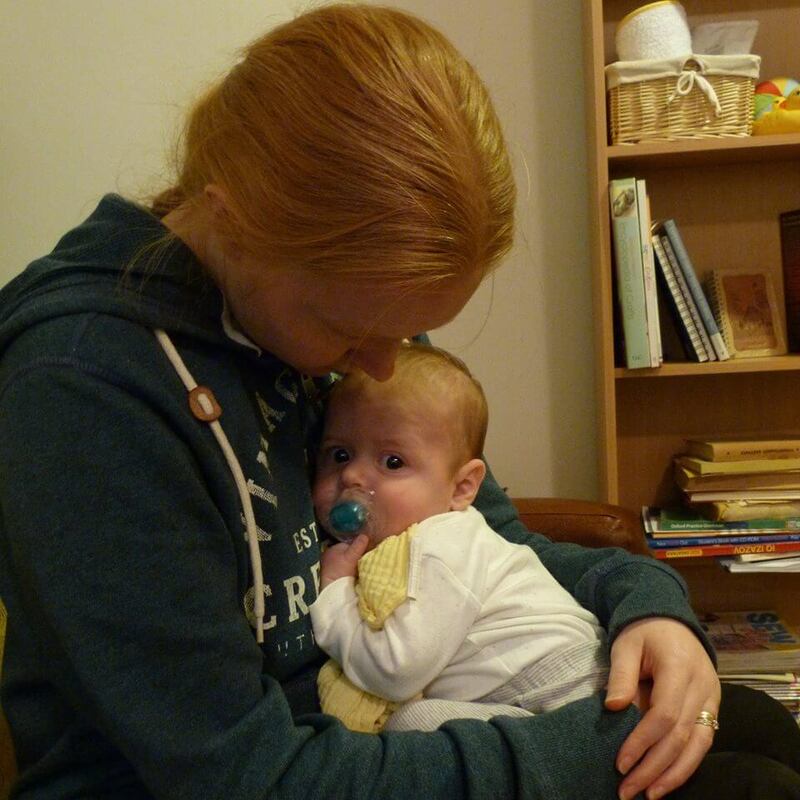 Measuring is a skill that we’ve not done a lot of and this little chunky measure was a lovely reintroduction to the skill. 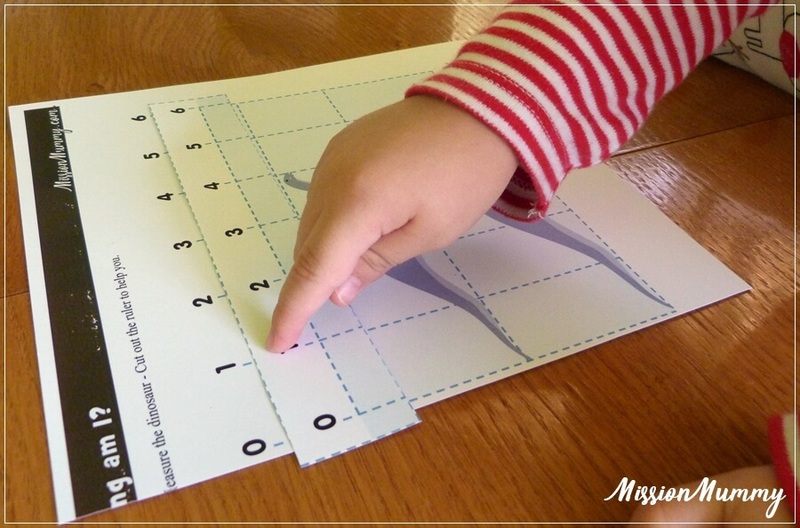 By giving him a ruler as well as the printed scale we moved onto mesuring things around the room. 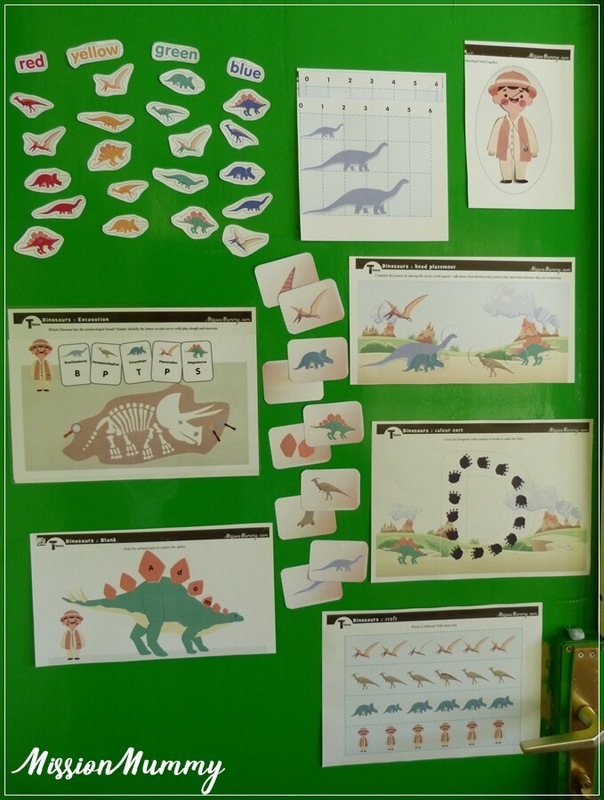 We didn’t get round to the last page of the pack but it’s a lovely interactive one with a flying bird and number sorting. The pack freebie this time is only available here! 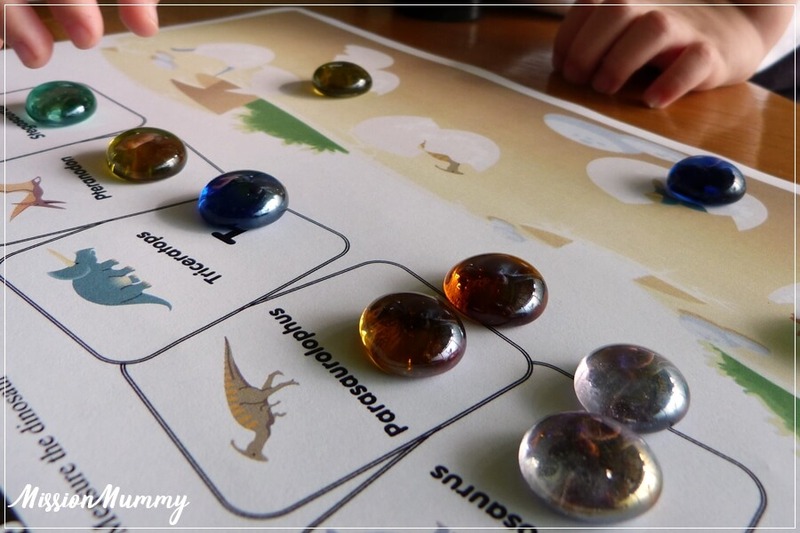 This is a hunt activity to match the hatching dinosaurs’s to the species cards. We did this with glass beads but it’s a very open ended activity.